Davies Craig ThermoCap UNIVERSAL - Dezod Motorsports Inc - Home of the automotive performance enthusiast since 2002. 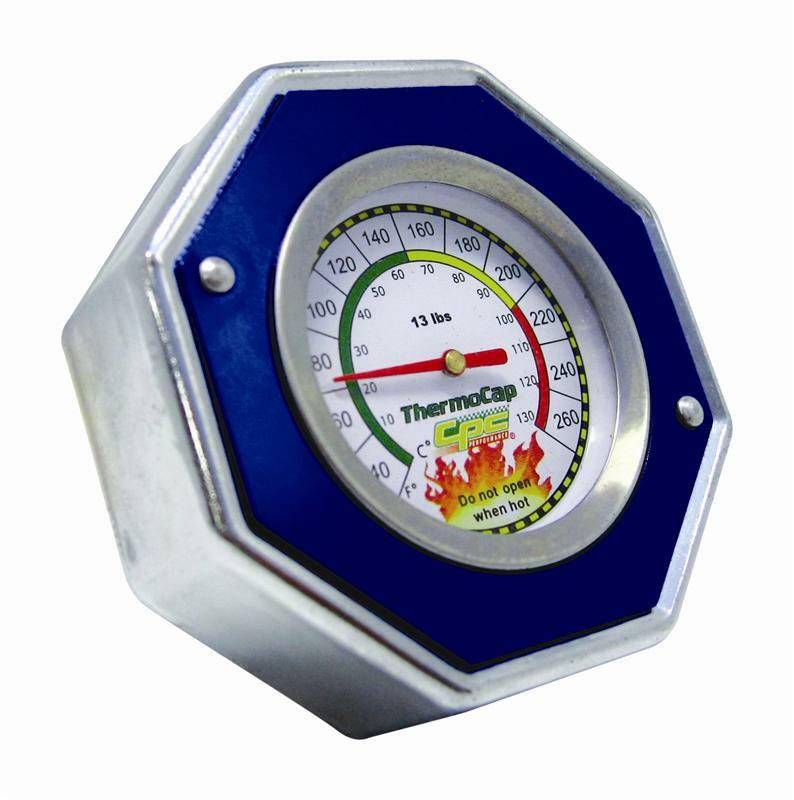 The ThermoCap radiator cap indicates the coolant temperature with its own in-built calibrated thermometer. This is important information prior to cap removal. The temperature probe does not need to be in contact with the coolant in order to indicate the correct temperature. ThermoCap is also equipped with a coolant recovery reclamation valve so it is compatible with cooling systems that have an overflow reservoir. ThermoCaps can also be used with cooling systems that do not have an overflow reservoir.